190406 Taeyeon “Four Seasons” wins 1st place on today’s MBC SHOW música CORE! What number is Taeyeon in your list of favorites? taeyeon is the best leader in snsd than other ? WITHOUT TAEYEON in SNSD , can SNSD be good like now ?? Why Taeyeon do you like more? Who should taeyeon end up with? give your opinion and post a picture of the lucky kpop guy! Post a picture of Taeyeon in The Boys. Post a picture of Taeyeon in I Got a Boy. Post a picture of Taeyeon. SEOUL - Taeyeon again showed his golden voice in a new solo single titled Rain. Leader SNSD Rain was released video clips through SM Entertainment's official youtube account. Just as in the first song, Taeyeon also melancholy in the Rain. In the video clip duration 3 minutos 49 seconds, the former lover Baekhyun "EXO" it seemed to put a sad face. Taeyeon has finally released the MV teaser for his new digital single, entitled 'Rain'. On the afternoon of Wednesday (27/01), SM Entertainment teased the fãs por releasing a teaser video for the latest MV Taeyeon, 'Rain'. Girls' Generation member Kim Taeyeon is feeling good this year. Among her K-pop idol peers, the Girls' Generation member received the most network música show trophies in 2015. The idol was very active with música promotions this year, having comebacks with Girls' Generation and TaeTiSeo, as well as making her solo debut. 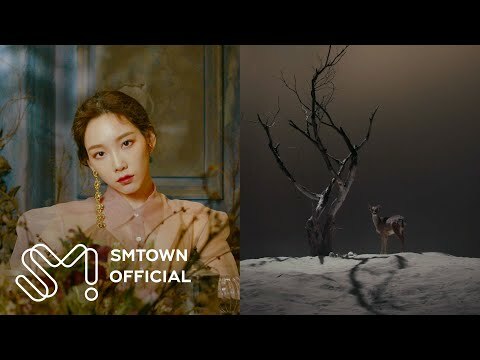 The visualização for Taeyeon’s “I” música video has been released. For the past few days, Taeyeon has been releasing teaser fotografias through her Instagram and official website. Taeyeon’s first solo mini-album can currently be pre-ordered through various online retailers, including YesAsia (poster in tube, no poster), KTOWN4U (poster, no poster), KPOPTOWN, and Gmarket. The mini-album will be released digitally on October 7th. Check out the música video visualização on the SMTOWN YouTube channel, or watch it below. On April 17th, SNSD was met with an unfortunate accident involving a male audience member who trespassed onto their stage at the “Angel Price música Festival” at the Lotte World ice rink. Towards the end of their performance of “Run Devil Run“, a male audience member intruded on their stage from the back and attempted to pull Taeyeon away por grabbing her wrist. a video foi adicionado: 190406 Taeyeon “Four Seasons” wins 1st place on today’s MBC SHOW música CORE!